Recently, politicians and publications have conditionally endorsed so-called "safe fracking" as a part of the nation's energy mix. But safe fracking is an impossibility, and the industry's claims for it are knowingly based on false premises. Chief among them is the notion that a "leakproof well" is possible. We've heard time again that strict regulation is the key to moving forward on fracking, and that new regulations should make sure that industry constructs leakproof wells that do not pollute the water table. There is no such thing as a leakproof gas well. The gas industry knows this; in fact, it has known it for decades. The part of the gas well that they're relying on to protect groundwater is simply cement: about a 1-inch-thick layer between the steel casing and the surrounding rock. Cement is permeable before it sets, subject to cracking afterward and can never be made leakproof. A 1-inch layer could never be adequate when groundwater is at risk. The gas industry's own documents and case studies show that about 6 percent of cement jobs fail immediately upon installation, and recent experience in the Pennsylvania Marcellus shale has borne this out over and over again. Pennsylvania's Department of Environmental Protection has tracked gas leaking from wells across the state. They found 6.2 percent of new gas wells were leaking in 2010, 6.2 percent in 2011 and 7.2 percent so far in 2012. When the cement fails, it opens a pathway for gas and other toxins involved in the drilling and fracking process to migrate into groundwater and to the surface. 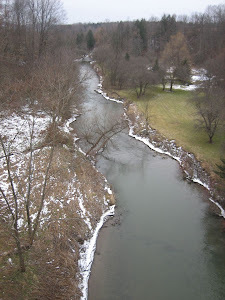 The plan, described by a senior official at the State Department of Environmental Conservation and others with knowledge of the administration’s strategy, would limit drilling to the deepest areas of the Marcellus Shale rock formation in an effort to reduce the risk of groundwater contamination. Even within that southwest New York region — primarilyBroome, Chemung, Chenango, Steuben and Tioga Counties — drilling would be permitted only in towns that agree to it and would be banned in Catskill Park, aquifers and nationally designated historic districts. 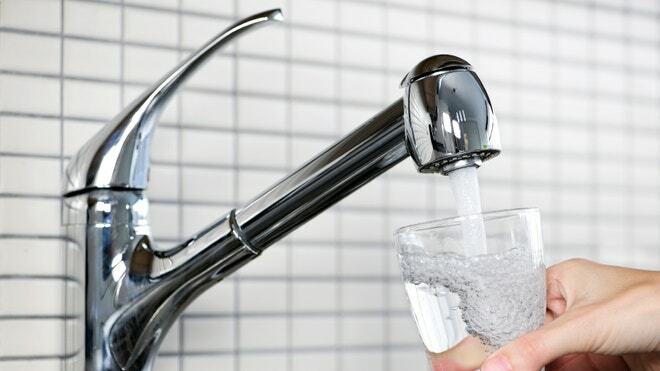 According to the U.S. Environmental Protection Agency (EPA), drinking water with low levels of arsenic – 10 parts per billion – has been deemed nontoxic and okay for human consumption. However, new research has revealed that the water may not be so ‘safe’ to drink after all. Researchers from both the Marine Biological Laboratory in Woods Hole, Mass., and Geisel School of Medicine at Dartmouth have discovered that drinking water with low levels (10 ppb) of arsenic stimulates adverse health effects in pregnant and lactating mice, as well as their offspring. The experiment had stemmed from previous studies the researchers had done, which had shown exposure to low levels of arsenic in water caused mice to have lower immune responses and become more susceptible to the flu. They had found the effects were even greater on the mice who were exposed to the arsenic in utero and in early childhood. After an order issued by the EPA in 2006, the arsenic standard for drinking water was set at a limit of 10 parts per billion in order to protect consumers from the adverse effects associated with chronic arsenic exposure. According to the EPA’s website, such complications include nausea, vomiting, diarrhea, partial paralysis, blindness, and an increased risk of various types of cancer. While 10 ppb is the EPA standard, it only applies to public, regulated well waters. The problem lies in the unregulated well waters in arsenic heavy regions – such as New England, Florida, and the Upper Midwest – which have been found to have concentrations of 100 ppb and higher. The researchers noted that since the experiment was done in mice, it does not necessarily translate to humans since they are not physiologically identical. However, Hamilton said that the experiment should still serve as a cautionary tale because tests on mice can be predictive of how something will react in humans. Published: June 2, 2012 PAVILLION, Wyo. — It has been more than four decades since the first well was drilled in the natural gas field beneath this stretch of slow rolling alfalfa and sugar beet farms. But for some who live here, in the shadows of the Wind River Mountains, the drilling rigs have brought more than jobs and industry. For the last few years, a small group of farmers and landowners scattered across this rural Wyoming basin have complained that their water wells have been contaminated with chemicals from a controversial drilling technique known as hydraulic fracturing, or fracking. A draft report by the Environmental Protection Agency, issued in December, appeared to confirm their concerns, linking chemicals in local groundwater to gas drilling. At a meeting in Pavillion, Wyo., state officials and local residents discussed water quality.